I have been conjuring up weird brews and filling bubbling jugs in my kitchen for over fifteen years. I am excited to share all of my experience with simple one-gallon mead and wine recipes with you here on Pixie’s Pocket. You can also grab a copy of my book Artisanal Small-Batch Brewing (June 2019), with over 50 one-gallon recipes for ciders, beers, wines, and meads. Most of my brews are one-gallon batches. This saves both time and my sanity since this pixie keeps a busy schedule! I find it far easier for me to whip up a gallon batch of mead or wine in a few spare hours after work than the half-a-day I feel I need set aside in order to brew a full five-gallon batch. Another consideration is that I enjoy experimenting with my brews like a mad scientist! Making honey wine in one-gallon batches ensures that I haven’t invested a ton of money into a huge batch that turns out horrible or goes moldy or has some other disasters happen to it. Many years ago, I was given the gift of a taste of home-brewed mead of such sweetness and rich complexity that I was left dazed. Once I came to my senses, I knew I would have to learn more about brewing and figure out how to do it myself. This being the early days of the internet (get off my lawn!) I found myself digging into books and renaissance faire list-servs and asking my brewing friends for advice, and it has been a roller coaster of experience and experimentation ever since. One thing that I learned early on is that no one agrees on methods of brewing – each brewer has their own way of making their wines and meads. While this can be intimidating when you begin the learning process, you’ll later realize that finding your own way is part of the joy of brewing. As you learn the basic techniques and get them down pat, you will naturally refine your own best methods! If you have friends around who like to brew, start geeking out with them, or see if there is a local home-brew club that you can join. Check for a home-brew supply shop in your area, as that’s a great way to meet a group of folks that won’t get annoyed when you prattle on about your techniques and will afford you the opportunity to listen and learn from the methods of others. A group to share with will ensure that you’ll always be learning new things to try. There are two ways to go with equipment as a beginner brewer. You can either go for the cheap and easy dorm room brew method and use plastic bottles and balloons or invest in a more costly complete brewing kit. I understand why someone might choose to cut their expenses and use the cheap and easy brewing supplies rather than buying fancy equipment, especially for your first try. However, after trying both techniques, I prefer letting my brew ferment in glass jugs or crocks rather than thin, cheap plastic! I suggest that you take the middle road with purchasing equipment. Acquiring a good set of homebrew equipment isn’t terribly expensive if you gather your supplies bit by bit, over time. Keep an eye on Craigslist or your local FreeCycle chapter – I often find wine bottles, beer bottles, and sometimes even discounted homebrew equipment from someone giving up the hobby! You can also get “free” gallon jugs by buying apple cider or cheap wine and saving the bottles. I find it easy to use a no-rinse sanitizer from my brew shop, but I know others who just use bleach or oxygen-based cleaning powders in a pinch. Just make sure that everything is clean and sanitized: the jug, bung, airlock, funnels, or anything else that will touch the brew. Also, if you use bleach, make sure it is rinsed off or it can kill off your yeasts. Whether you use cheesecloth, muslin, nylon, or even clean older rags, straining bags can come in handy when steeping herbs or flowers for your brew. Some people don’t mind flower petals or chunks of fruit floating in their ferment, so these are optional. Also called a carboy or fermenter. These are the bottles that apple cider (or cheap wine) are often packaged in. If you get one secondhand, check it over carefully for cracks or chips before using it and discard any bottles that are questionable. Alternately, you can use a clean two-gallon bucket. Brew shops sell brew buckets with spigots to make things a bit easier at bottling time. A funnel that fits in a gallon jug makes the pouring of the hot honey water into the carboy much easier. You can get large ones, and some come with built-in screens which can be handy when straining the must. A one-gallon pot will work, but a two-gallon pot is better. It’s best to have a lid that fits it well, for lowering boiling time and for steeping the herbs. You'll need 2-3 pounds of honey for mead or 3-4 cups of sugar for wine. Water is life. Use clean water, preferably non-chlorinated and not distilled. I prefer Lalvin D47 for a good basic semi-sweet mead, but I've had lovely results with bread yeast and wild fermentation, too. Champagne yeast will give you a dry mead. Yeast eat sugar, but like us, they need nutrients to live. I prefer to use raisins, fruit, bee pollen, and citrus to help my yeast along. Get together all of your ingredients. Sanitize the gallon carboy or bucket, the airlock and bung, and the funnel – anything that will come into contact with your brew. Set your pot on the stove and pour about 2/3 of the gallon of water in. Allow it to come just to a boil and remove from heat. Once you get the honey and water stirred and blended together, let it sit for another ten minutes or so to cool. While it is cooling, rinse your sanitized equipment. Use the funnel to pour the warm must into the gallon carboy. Top off the jug with the rest of the gallon of cool filtered water until the liquid is just about at the neck of the jug. Add in the bung and the airlock to keep everything clean. Allow the must to cool down to body temperature – this can take a few hours so I sometimes just leave it overnight. Once it is cool enough to touch the glass jug on the bottom and not feel the heat, you can pitch the yeast. If you are using a packet of yeast meant for a five-gallon batch, use a half or a third in your gallon batch. Give the jug a good shake, and then re-cap with the airlock. You can store the rest of the yeast in your fridge in an airtight container to keep moisture out until your next batch (use within two weeks for best results). The airlock should begin bubbling within 48 hours after you pitch the yeast. It doesn’t go any faster if you sit and stare at it, but I’ve gotten good results from singing to my brews. Your results may vary! It’s a good idea to stick the fermenter in a place where it won’t get much direct sunlight, or wrap it in an old tee-shirt or clean dish towel to keep it in the dark. Every few days observe the airlock and count how many seconds it takes for the bubbles to emerge. After about a month or so, you’ll notice the fermentation slowing down to a bloop or so a minute. Unwrap and peek at the jug every now and then – how does it look? When you notice that the liquid inside is clear, there aren’t as many bubbles around the surface of the liquid, and all of the yeast and trub has settled to the bottom of the jug, it is time to taste the mead and decide where to go from there. To take a taste, I’ll sanitize a clean straw and use that to get a taste of the mead (be careful and don’t backwash into the mead). Analyze the flavor. What do you taste? Bear in mind that this is a young mead, and any sharp, sour flavors will likely mellow out with aging. Is it too dry? Do you want something sweeter? If so, check out Back-sweetening, otherwise, go on to Bottling. If you want to make your mead sweeter, you can do so by a method known as back-sweetening. Start by making a simple syrup from honey or sugar. Make sure the syrup is warm, but not hot so that it will blend easily. Add somewhere between a quarter and a half cup of your sweetener into a clean, sanitized carboy and rack the mead over onto it. Give it a few gentle swishes to encourage it to mix, but don’t shake it enough to aerate the mead. Put a clean, sanitized airlock on the newly sweetened mead and let it sit for another week or two, just in case the sugar kick-starts any residual yeasts back into gear. Once you are confident that the fermentation is done, prepare to bottle the mead. One gallon of brew will fill 6-8 standard beer bottles and a swing-top bottle or two, or any combination that you choose. A racking cane with an auto-siphon is more than worth the cost. This simple little tool greatly eases the process of bottling. It has turned bottling from a team sport into an adventure I can handle on my own. Note that they make these for 5 gallon carboys as well as one gallon – make sure you’re getting the right size! The image on the right shows beer bottles and swing-top bottles. I tend to use both beer bottles and caps and a few swing-top bottles on each batch. Swing-top bottles are kind of fancy. They are great for taking to potlucks, parties, or giving as gifts. I adore my swing-top bottles so much that they feel like a worthy gift to give just on their own, and the booze inside is just an extra bonus! The swing-top bottles are more expensive to purchase new, but I also get them by buying root beer and fancy lemonades that come packaged in them so that I may re-use them. They also have the side benefit of not requiring any extra equipment to seal the bottles. Also, replacement rubber gaskets are easy to find and cheap, too! Beer bottles are my go-to for small batches. I enjoy drinking beer and make sure to keep empty bottles around for reusing with my own brews. Beer bottles are cheap – I save mine and use them over and over as long as they have no cracks or chips. When you use beer bottles, you need new bottle caps and a bottle capper to seal them up. I always love to taste the mead as it is going into the bottles so that I have an idea of what it might be like after some time in the bottles. Aging will always make a better mead or wine! I try to leave the bottles for at least a month before cracking one open to try. If you open a bottle and there is a mess of foam spooting out everywhere, then you may have bottled too early or gotten something living in your brew – one way or another, that kind of activity means that you have to wait a good while longer before opening another bottle, or that you might have a bad batch. How do you tell if you have a bad batch? If it tastes like vinegar or something rotten, don’t drink it. If your final product is still not sweet enough, you can always add sugar syrup or a splash of juice or even ginger ale to your glass. Enjoy your drink while you consider what you might do differently next time! Enjoy learning! Enjoy brewing! Drink Safely and Responsibly! Is stratification of the must a problem and if it is what should I do? Stratification, or the separation of the honey and liquid in the fermenter, is normal if you did a mead recipe where there is little to no heating of the water before adding the honey. If you use such a method, make sure you shake the everloving heck out of your gallon jug after you pitch the yeast. If the layers appear while you are still in fermentation, you can try to give it a stir or mix with a sanitized tool. Another reason for stratification may be that you are fermenting in a cooler environment. Try putting your jug in a warmer spot, but out of direct sunlight. I’ve never brewed mead before and would love to try. How long before the mead is fully done fermenting? Fermentation time varies depending on the temperature, the kind of yeast, the amount of sugar and such. Just keep an eye on it, and watch the bubbles in the airlock blurping away. When they stop bubbling, consider bottling your mead, or if you are afraid that it isn’t done, you can “rack” it into a new jug to get it off of the old yeasts and see if it is still going. All that being said, for one-gallon batches it can take anywhere from a month to three months, although I’ve been lazy and let some sit for even longer. Have a question about brewing? Leave a comment below or drop a line. I’ll answer you as best I can, or point you towards resources that might be able to help. Tip for beginners that may not want to invest in equipment until they are sure this isn’t going to be a one-time thing. My first wine was made in a milk jug with a homemade airlock. Get some 1/4 inch clear tube like is used for fish tanks. About 12 to 18 inches should be plenty. Drill a hole in the milk jug cap just large enough for the tubing to fit through. It only has to slip through about 1/2 inch. Use some silicone to seal around the tube. Everyone has a small container about 6 to 8 inches tall. I used one of my wife’s bud vases. Fill the vase about half full or maybe a little more with water and place the free end of the tube in it. As the wine bubbles, the gas will travel through the tube into the glass of water and out. The water allows the gas out but no air back into your wine. Thank you for this post. You have broken this down so wonderfully. A thing of intimidation to me suddenly seems so doable. Bookmarking your fantastic page for future use. Not sure when I’ll get the equipment, but I will definitely be referring back to this when I do. One question: when you say filtered water, do you mean distilled or filtered in a certain way? Maybe I am just clueless, but I just wasn’t clear on that point. Thanks again for the great info. Oh! You are so sweet, you brought tears to my eyes. Making people unafraid to pursue brewing is definitely a goal of mine. 😀 The thing about the water is this: most tap water is chlorinated, which can kill the beneficial yeast, and fluoridated, which can sometimes cause off flavors. I use either bottled water, or distilled, or at the minimum, tap water that has been allowed to sit for 24 hours to allow the chlorine to evaporate. It isn’t perfect, but it works! Brewing isn’t as hard as it seems, but the only way to get better is to do it and keep at it! Enjoy!!! Awesome, thanks for the reply. That will make it easier. I would love to own property with a spring too, for many reasons! I am in the middle of insane harvest season, but hopefully over the winter I’ll be able to slow down enough to order the right equipment & get to it! My husband is as thrilled as me! This post answered a yeast question I asked on your post about elderberry mead. I found your sight yesterday and am really enjoying it. Tip for beginners that may not want to invest in equipment until they are sure this isn’t going to be a one time thing. My first wine was made in a milk jug with a home made airlock. Get some 1/4 inch clear tube like is used for fish tanks. About 12 to 18 inches should be plenty. Drill a hole in the milk jug cap just large enough for the tubing to fit through. It only has to slip through about 1/2 inch. Use some silicone to seal around the tube. Everyone has a small container about 6 to 8 inches tall. I used one of my wife’s bud vases. Fill the vase about half full or maybe a little more with water and place the free end of the tube in it. As the wine bubble the gas will travel through the tube into the glass of water and out. The water allows the gas out but no air back into your wine. I now use 1 gal apple cider jugs for carboys. I did buy bung’s and airlocks just like the ones Pixie shows in the picture at the top of the page. When you buy your bungs you will need to measure the jug opening to et the correct size. Hello! My friend and I are both trying our hand at home brewing- I am trying a blackberry wine, as I had berries that I didn’t want to waste, and she is doing mead. I have a question in regards to my blackberry wine…it has stopped bubbling but is still very cloudy and opaque. Should I strain it and rack it off or do I need to add something to it, or is it ready to bottle? I used baker’s yeast as I was so excited to try making it that I had no patience to wait for brewer’s yeast to be delivered. It smells good, a bit yeasty, but definitely smells like wine :). I look forward to your response and am immensely enjoying your blog and website! Yay! Brewing! 😀 As far as the blackberry wine goes, it might well stay pretty thick and opaque. If it has stopped bubbling, try using a sanitized straw to take a little sample (don’t backwash!) and see how it is. If you want, you can rack it to another jug just to see if it’ll clear a bit more, but no whoop. You can add some sugar or honey syrup to sweeten it at that point, if you want. Otherwise, just bottle it up if it is done bubbling! If you have room in your fridge, you can stick the wine jug in there before you bottle. It’s called “cold crashing” and it’ll help slow the yeasts and bring the solid bits down to the bottom of the jug. I have occasionally tried to stop a bottle fountaining out its wine by putting my mouth over it. This is the nearest I have come to drowning – not to be recommended! Why I have done it more than once, I don’t know. Ha, that’s one way to recoup a loss through foam! I’ve had a fizzy sinus flush or two, myself. I too feel like I would like a sweet meade/wine, may I ask which yeast you use to achieve a sweeter brew? I’ve just come across your blog and already feel more confidant about adding brewing to my list of things to try! Thanks for all the wonderful info! Yay, thanks for your comment and your brewing enthusiasm! I’ve used Wyest or other brands’ “Sweet Mead Yeast” to get a nice, sugary result. There’s also techniques you can use that I’m not proficient with, like killing the yeast to stop fermentation when the flavor is where you like it. 🙂 http://winemaking.jackkeller.net/ is another good resource that you might enjoy! He’s an expert on wines, and uses those methods. Have fun brewing! My fiancé and I are going to try making our own mead in a few days when we get paid. We have 6lbs of honey, since I like things sweet, and will be making a 1 gallon batch for our first. We have a local hydroponics store, and the gentleman has offered to help us with equipment as we need it. But this recipe, I’m thinking, is going to be our first try! Thanks for posting your methods! Oh, boy! 😀 YAY! Welcome to the world of brewing – your kitchen counters will never be the same! 🙂 Feel free to share pictures and such over at https://www.facebook.com/PixiesPocketHoney/ if you do the facebook thing! hi there, I am considering making my first gallon of honey mead & was going to use the cold water method untill reading about stratification. If this is left unchecked will it interfere with fermentation or taste of the finished brew & is it safe to interfere with the must while fermenting? Thank you for this blog. its quite imformative,the more you read the more you learn. Thank you. thanks for that Amber, I think I will try it cold, the worst I can do is stuff it up, any way, it will be a good learning experience & make me more determined to get it right next time. Hello! I apologize for my delay in responding. 🙂 After I rack mead, I watch it for a bit to ensure that fermentation is done before I bottle it. One of the perks of bottling is aging – I just enjoyed a wine from 2014 last night! I store my bottles in a dark, cool place – under a cabinet, or in a wine cellar if you are lucky enough to have one! 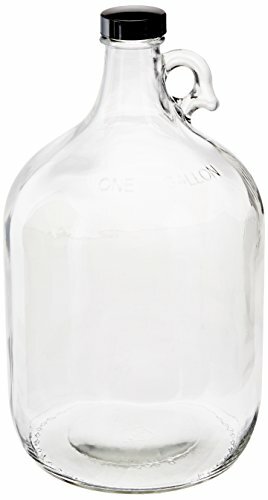 If you’d rather not bottle and age your mead, you can store that gallon jug in the fridge with a cap and just drink it “new” without aging it! Refrigeration slows fermentation, so an airlock won’t be necessary on the jug. Enjoy! I appreciate your feedback, I was intimidated to start brewing for years and so making it seem easy to do and accessible to beginners is a big part of my goal! Thanks, Shelly! Well, you have to get and use a hydrometer to read the alcohol content, but I don’t do that myself. Most brews tend to end up in the same range as wine, around 13% or so, in my experience. Just wait for the bubbles to stop before you bottle! I’m going to attempt my first batch today with what I could find at the local grocery store. About how much bread yeast would you use for a gallon of mead? Hopefully this works. I’m very much looking forward to trying the mint wine after this. I’m so sorry for my delay, Teddy, I just noticed that I missed your comment! I have literally used just a pinch or two of standard bread yeast, and that seems to do the trick! It will eat up ALL of the sugars so you might have to backsweeten it at the end of the brew, or when you open the bottles to drink. 🙂 Cheers! Thank you for all the wonderful info. I’m not one to have bits and peices and leftovers laying around so I was wondering what happens if I use the whole package of yeast in a one gallon batch instead of half the package. I made an orange spice mead, (with Clover honey because I don’t like the taste of dark honey), from a recipe I found on the Internet. My first try ever. It set in the original glass gallon carboy for two months, till the activity had stopped, the yeast/fruit sank to the bottom and it was clear. Siphoned it off a couple of days ago into a clean glass gallon carboy to age. Got curious so I tested it for alcohol content. I’m not sure I read the thing right but I think I t tested somewhere right above beer-just into the wine area. (Really don’t know anything about this.) It tasted dry to me and wasn’t as sweet as expected. I think I am going to back sweeten it a bit if the flavor doesn’t improve with age. (Going to use at Christmas.) My question is, can I add dried sweetened cherries while it ages for a more complex flavor? It may kick in the yeast a bit, but still, it could add interesting color and with the cherries being dried and sweetened the sugar content would be higher in them. Hey there! How cool is it in that dark place? You might need to put it in a slightly warmer place…around 60-70 degrees is good. If that is in the light, I put a tee-shirt on the jug or something like that to cover the bottle. It should be ok, but that is a lot of honey, I hope you like your mead sweet and highly alcoholic! 🙂 If it still isn’t doing anything, try moving it to a warmer place and if that doesn’t work, try adding a bit more yeast. Good luck! my brew still seems too sweet after a month and a half, can I do anything else to dry it out? Did you take hydrometer readings to tell the alcohol content? (I often do not, just curious.) Did it bubble and ferment strongly at first and then stop? You might want to move it to a slightly warmer area and add a touch more yeast to it if you think fermentation stalled. I hope that helps! Thanks Amber your practical approach lead us to our first three gallons racked on the new year! Fermentation has begun nicely and we are patiently awaiting great results! SKAL! SKAL! Yay! I’m glad you are brewing. I hope it all works out wonderfully! 🙂 Sorry for my delay in response, since I just updated my site, I stopped getting notifications of comments. Whoops! Hello! I am brewing a 1 gallon batch of mead and would like to add a hint of Chia tea during the aging [ or when I rack it ], how much tea would you recommend and how would you add it. Any suggestions would be greatly appreciated. Hello Jerome! Is the mead just a plain one? If so, maybe a normal cup of chai (without milk of course) would be just about right. It’s also a good time to re-sweeten if you wish, if you do that when you rack it over. I hope that helps! I started just a plain mead last night, can I add the yeast nutrient in a day or so when Amazon delivers it? It was supposed to be here 2 days ago and it isn’t and I didn’t have the patience to wait any longer to start my mead. Thanks for the great post! I started my mead 2 months ago and it never bubbled at the airlock so I thought it was bust. Two months later little bubbles are rising in the carboy and it tastes like mead. Do you think it worked anyway? Not too sweet! Am aging now. I guess I messed it up but it worked out anyway. Thanks so much for your tips and instructions. I’ve been brewing beer, and thought I’d like to give mead a try! So, I followed your recipe to the Temporary and used Wyeast sweet mead yeast. It seems like it took at least 24 hours to show any activity. Now the airlock is showing loads of activity with bubbles, but there’s no yeast foaming at the top like I was expecting with this yeast…. There’s just the yeast on the bottom. It’s obviously active, so the yeast couldn’t have gotten killed off from exhaustion (maybe too much honey at once, I’ve read elsewhere can be a problem for the yeast)? Sounds like it could fine right? I guess I truly won’t know until time passes and I take a gravity reading. Hey there! Did you use the whole Wyest pack for a one gallon batch? So long as you are bubbling, there’s good stuff happening! In my experience, meads and wines are NOWHERE near as foamy as beer, nor as quick to bubble. I wouldn’t be too concerned! How are you Amber, I have a quick question. This is my first successful batch of mead; I made a sweet mead, using just over 3 lbs of honey (wild flower), yet my mead isn’t as clear as the pictures you’ve posted. It doesn’t taste like its bad, but I’m apprehensive about moving forward with it. I’m unable to see through it, is it just because I added more honey than you did, or could there be a problem? Sometimes it takes a while for the mead to clear. You can just wait it out – it will eventually settle, or you can rack it over to a new, clean carboy to get it off of the yeast lees. That can speed up clearing! Cold temperatures can make the mead take a little longer to ferment, too. My first ever mead was still rather opaque when I first bottled it – it wasn’t BAD but it would have been better if I had waited for it to clear. Some of the bottles ended up popping corks because the yeast was still alive, apparently! Whichever technique you prefer, waiting or racking, I would definitely ensure it’s a little more clear before you bottle. I have the glass carboy and also used a clean and sanitized milk jug to rack and sanitize the glass your stop and bung will fit perfectly in the top of a one gallon plastic jug if it is a one gallon carboy in case people want to try it lol I recommend everyone avoids the balloon method because there is a really high chance of the brew going bad because of germs getting into the batch but what most people don’t know is you can use bread makers yeast and it ferments much quicker I can make a gallon of mead that tastes amazing in just under a month but you have to keep the water from boiling just under is the perfect temp… I wont tell you how much yeast to use because the first volcano I made was a learning and valuable experience lol also I will recommend for a very sweet mead which I prefer personally just add about a cup of sugar to it and restop your batch with your bung do that twice after the yeast starts settling and it will be a super sweet mead. What should I do when the mead bubbles over the air lock (besides cleaning up the ponding)? I created my first 2 individual gallon jugs today. By this evening both were bubbling over. Each has 4 cups clover honey, 1 sliced up organic orange, 10 raisens, 1/2 cinnamon stick, 1 clove and 3 small chucks papaya (read it helps clarify) and it grows in my backyard, 1 teaspoon of yeast, 1/2 teaspoon each yeast nutrient and yeast energizer. Boy! It didn’t take long to take off. Is there anything I should be doing besides wiping up the overflow? Do I need to clean the air lock when it calms down? Sounds delicious! And quite active! Sometimes on the first night of a brew, I’ll put the jugs in the bathtub or sinks just in case of an overflow. You’ve got the right idea…just tidy it up, and yes, removing and cleaning and resanitizing the airlocks are a good idea. The sugary sticky leftovers can become a breeding ground for the wrong microorganisms. Well done, and cheers! Hi, and thank you Amber for this great site. I made my first wine (dandelion) a couple years ago, but didn’t taste the wine before bottling. It was overly sweet (almost like a syrup) and effervescent like soda pop, but so-o-o-o good when I cut it with club soda. From reading all of your comments I’m thinking I must have bottled the wine before it was finished brewing. Does that sound about right to you. I used dandelion, oranges, lemons, sugar and water. I would like to recreate the effervescent part of the wine, but have it not quite so sweet. What do think? I have not yet perfected how to get fizzy brews when I want them…sometimes they are still active when I open them (once had a purple-stained ceiling from some very excited blackberry wine) and other times they are more wine-like and flat. It has to do with the amount of sugar and yeast left in the wine when bottled. With beer, you add a bit of corn sugar to the batch just before bottling to make the carbonation. While I haven’t tried it, perhaps that would work? I haven’t tried it because I didn’t want to explode any bottles or pop any corks! I also use gingerale sometimes to smooth out some rough or sour brews. Hello! I’m excited to make my first batch of mead! But I just realized I didn’t add any yeast nutrient. For some reason I thought adding raisins was for optional flavor, and now I’m reading about yeast nutrient. I put together the must (boiled water and 3 lbs honey) and 1/2 packet wine yeast in the gallon carboy almost 24 hours ago. Is that going to make the mead taste bad like sulfur or make the process longer or not work at all? Is there anything I can do to fix it? My second question – Is it okay that the foam came up the airlock halfway? Does it need to be cleaned or only if it overflows inside the airlock? Thanks for all your information! I love your website! So glad I found it! As far as the airlock goes, once the bubbling is less active, take a moment to replace it with a clean one, or cover the jug while you clean and resanitize the one you’ve been using. I’ve had mold grow in the airlock before when it got some brew mixed in there! I am planning to make my first batch of mead here in the next week or so when my supplies come in. I have a buddy of mine coming in for Jul 4th, and I would like for him to try it. If the bubbles have stopped is ok to drink it? If I wanted to drink some of it then could I rack some off, and leave the rest to keep aging in the jug with no ill effects? Wellllll…it isn’t the best idea, but it won’t ruin it completely. Here’s some things to consider – if you siphon some off to drink, it will be very young. Mead is better with aging, it mellow and gets richer flavor. Also, if you siphon some off, you’ll have more airspace in the jug. Oxygen can cause off flavors in cases like that. I am going to try to make my first mead. This is a great site and the recipe looks easy to do…. Am a little nervous too lol! So will be going to my local supplier soon. Getting excited at the challenge. What I was not sure of was when it said about the first ingredients. 2-3lb honey for mead. Then it said .OR.3-4 cups sugar for wine. Can you please explain what this means. Am just sooo novice. Thank you ???? Sure, Margarethe! Wine is made with sugar, and mead is made with honey. You can make most of my recipes either way – just depends on which sweetener you use. Thanks for your kind words, and I hope it all works out fine! I’m sure it will, don’t be too nervous! You’ll get the hang of it the more you try. 🙂 Enjoy! I have my first mead on the go. Looking good and steady bubbles. ???? a novice question….I would like to make an orange mead..with chunks of orange. Recipes tell you to just add the fruit and rind but it does not say to wash them from pesticides and sprays. What is the best and safest way to clean fruit thoroughly?.. You need to sterilise so carefully. Would there be a chance of unwanted nasties that can turn your brew off? Another novice question…I’m sure there will be many.lol! There is some dried foam inside the neck of the mead fermenter. Not in the airlock.Do I leave this alone?. ???? Don’t worry about the dried foam in the neck of the fermenter unless it starts getting fuzzy (never seen that happen, myself!) 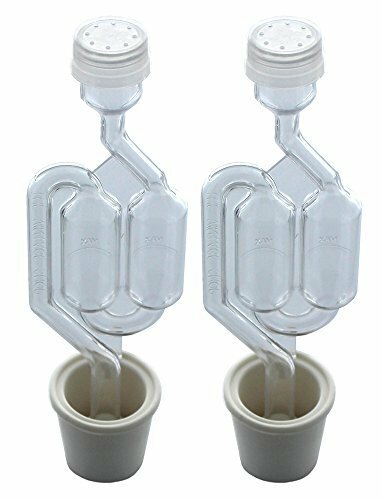 – if that happens, just rack it all over to a new jug with a siphon tube. I hope that helps! Cheers! Enjoy the process! Hi! Thank you for putting all this together! I’m really excited to try it out- I bought all the supplies and have it planned out that it’ll be finished around my 21st birthday. I’ve been looking around and you always mention adding yeast but never the amount of yeast used. I don’t want to use too much so what amount do you normally put in? Or is it a prepackaged amount? Thanks for your message! For the one gallon recipes, I tend to use a pinch or two of dry yeast. If you are using a packet of yeast from a brew shop, I use about 1/3 to 1/2 of it at a time. Too much yeast won’t hurt the brew, really. Enjoy! I hope it all works out for a lovely drink in time for a celebration! Hi, Amber! I started out making beer and quickly added mead to my brewing. I had a long-fermenting mead in a 5-gallon actual glass carboy that foamed quite a bit. Afterwards, I could not get the dried foam off the “top curve” of the carboy. I couldn’t get it off. No amount of soaking would do it, and I couldn’t get enough force on a bent brush to do it either. I finally just had to trash the (expensive) carboy. I want to do smaller 1-Gallon batches, but am leery of having the same problem with small opening gallon glass containers. I’d appreciate your comments/thoughts on this. Have you ever had a similar problem? Thanks! I’m sorry you ran into that problem! When I’ve had stuck-on foam, I’ve used products like Oxy-Clean in the jugs. The bubbles have taken care of most of it, and what doesn’t come off on its own comes off on the brush! I hope that helps. I would hate to have to throw away a big jug like that, too. I bet your mead will be just fine! 🙂 I’ve done many without adding nutrients, but the handful of raisins and bit of lemon juice can’t hurt. Let me know how it worked! Enjoy your brewing, Troy, Cheers! Question about the Nutrients for Mead. You said adding raisins or some lemon juice, does it impact the flavor profile much? I got some rad honey from a guy in Costa Rica on my 30th bday and wanted to make a small batch mead so that in a year or two I could re-celebrate. I was wondering if adding coconut chips (flakes or shreds) would make it a little tropical but didn’t want to take away from the honey. I’ve made mead in the past but it’s been a few years and I’ve never done one as “naked” and I want to do this one. Usually I spice them with nutmeg/ cinnamon so wasn’t sure if raisins had much impact –flavorwise. Thanks for your question, Lindsay! In my experience, raisins or a splash of lemon juice have little to no flavor impact, especially if you just do a small handful, around 10 raisins. Be careful with the coconut chips, as the oils can make things odd and impact fermentation. Also, a lot of those have added preservatives that can interfere with fermentation, too. Oooh, I bet that Costa Rica honey is goooood! Such a verdant place for bees to forage! Cheers! Hi Amber! I’m a new home brewer and I’m in the process of trying out your Blackerry Mead recipe! My question for you is, when you first strain the berries and seeds…are you using the syphoner or an actual strainer? How does that process work? I just don’t want to screw anything up!! Haha!! Hey there, sorry for my delay in response! 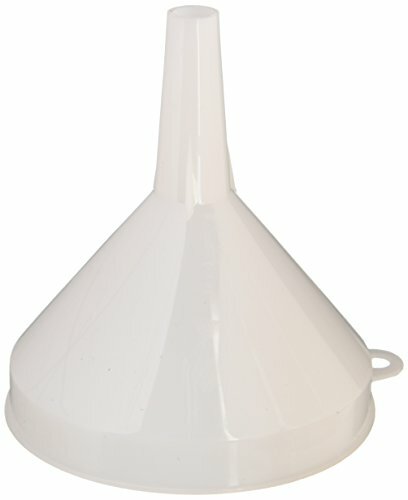 I use a regular, wire kitchen strainer and a large brewing funnel that fits in the carboy – this keeps out the skins and seeds, which can cause a little bit of bitterness if they sit in there too long. I hope that answers your question! Thanks so much for the kind words and the explanation! I moved it into another carboy without any issues!! Can’t wait to try this out!☺️???????? Hello from the UK Amber! I have just recently started to brew my own plain batch of mead with local honey from a friend with his own hives. The bubbles in the airlock are bubbling away at 1 bubble a second, but the batch is only about 5 days old, so should be ready hopefully by Feb. 2018! Cheers for your recipe, I’ll keep you posted! Yum! Thanks for chatting, Karl. I hope you enjoy it, it’s a hobby that is hard to put down. And you just can’t beat local honey. 🙂 Cheers! It’s fairly dry, around 11%, clear like a white wine and tastes like a scrumpy cider. Not bad for a first attempt, think I’ll add more than four jars for my next batch. Thanks again for the inspiration, Karl. Hey, sounds tasty, whatever it can be classifed as! 😀 Cheers!! Thank you so much for the way in which you explained the ins and outs of making Meads,and Wines I thinking am going to enjoy this new hobby I am embarking on. Oh, thank you for saying that, Della! I do hope you enjoy the hobby…it’s a rewarding way to enjoy a harvest! 🙂 Cheers! Glad to find another 1 gallon at a time brewer 😉 Of possible interest: I sanitize my bottles with baking soda + water swirl around then vinegar + water swirl around. No problems so far. One of my best brews was cherry + apple juice + champagne yeast. Another success: Blueberries + champagne yeast. I also leave the lees in. Sur lie: https://en.wikipedia.org/wiki/Lees_(fermentation) After looking at brewing recipes from hundreds of years ago, I decided to forego much of current advice and brew as simply as possible. Thanks for the tips, Elena! I only rack off of the lees to help clear because I have had exploding bottles when I left them in. But yes, I prefer very simple methods as well! Cheers! ingredients were just for a fruity mead . Is this why my bubbles are so slow? Should I/could I add the lemon juice now, and if so how do I do that? I would appreciate any advice you could give me Amber. So, should I/could I add lemon juice now? And if so, how do I do that? It should do reasonably ok without the lemon juice or yeast nutrients…what is the temperature where you have the jug sitting? Somewhere warm but not hot is best, around 60 or so degrees is nice. Otherwise, I’d just let it be! The video of the fermenting brew is of beer, which is much more active than mead! Hi Amber hi and thank you for these instructions. They made mead brewing seem doable. When I was researching meadmaking this site stood out the most to me. Question: did you stir the fremenating mead to aerate it at all during the process? Thank you. Hello Andrew! I have not found it necessary to stir or aerate the mead once fermentation begins – in fact, doing so tends to introduce more cultures that can be harmful! Once there are bubbles and strong fermentation, I just let it sit and do its thing until the bubbles stop! Cheers, and happy brewing!